Mercedes F.W Graunke is an authorised Mercedes service provider and spare parts dealer. Mercedes F.W Graunke is an authorised Mercedes service provider and spare parts dealer. We are a family owned business operating for the last 40 years and offering the best service and repairs to Mercedes that drive into our garage. We offer genuine spare parts and are authorised dealers of original Mercedes parts. 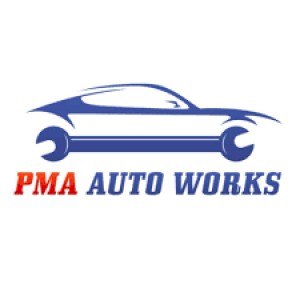 Our car services and repairs are highly reliable and efficient. No car that comes to us leaves us with any kind of flaw. Our staff is known for providing prompt road care and excellent customer services. With us, you do not have to worry about getting faulty part replacements or lousy servicing. Our long list of loyal customers itself speaks for our trustworthiness. Your Mercedes-Benz is likely your pride and joy, therefore deserving the highest standard of care and service possible. F.W Graunke are the clear choice for Mercedes car service in Melbourne, having served countless customers from our current location since 1974. This level of unparalleled experience ensures your vehicle will receive outstanding service, with all issues being quickly resolved and any necessary spare parts being easily sourced. Luxury vehicles cannot be left in the hands of a jack-of-all-trades. Turn to the seasoned professionals at Melbourne’s premier Benz service centre, F.W Graunke, for specialist service conducted with passion. Our Mercedes repair centre allows Melbourne residents to have their vehicle serviced with peace of mind and convenience. With a long-term workforce comprised of experts, you can be sure we can provide the care your Mercedes Benz needs. Spanning general maintenance, major repairs and part replacements, you know your Mercedes-Benz will be in safe hands at F.W Graunke. As one of the leading Mercedes Benz service centres in Melbourne, F.W Graunke strive to provide accessible car servicing to locals. Our specialised Mercedes-Benz service plans allow you to better manage your vehicle’s standard scheduled servicing and maintenance in accordance with your budget, ensuring your Mercedes Benz is kept in optimal condition.